Removing HUD Selector might solve your problem. It's worth a shot anyway. Yeah, I should have phrased that better Thanks once again, phkb! Really appreciate all your help. I would really like to know if you guys like this feature. The effect is subtle but I find it very immersive. I will be updating the screenshots and explanations in the first post of this thread as well as creating a wiki page for this HUD shortly, hopefully in the next days! And again, thanks so much to phkb for all guidance and suggestions! Do let me know what you think of it and if you find any bugs! And by the way, I have just released two new colours for this HUD: purple and white. Screenshots will follow soon. A favorite OXP receiving continuous updates... what a nice feeling! You are very kind, Getafix. I am glad you enjoy this OXP! I.9 worked fine and the 2.0 says, I didn't realize, I need Oolite 1.87. I see that that isn't out yet so is there a way I can get a link to a copy of 1.9 so I can get back to my game please? Thanks. I did the nightly last night, working fine so far, HUD looks great by the way. New version released, I fixed a bug in which the cockpit background image disappeared when in red alert and in minimal mode. Available in the in-game extension manager. 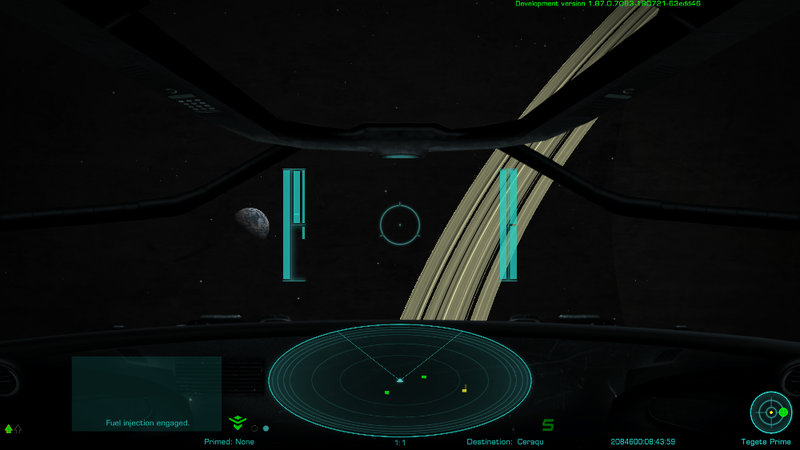 I installed your dangerous oxp HUD and i am really enjoying it, especially the warning messages (for missiles,shields) and the custom sounds for witchspace and torus speed. The graphics of the hud are great and makes it feel like a different (better) game. One minor bug i noticed is: when in torus speed and shift-C for autodocking to main station, the torus sound does not stop when docked to station.